It may seem strange that the son of a US president was fighting on the front lines. But Quentin was a Roosevelt and Roosevelt men felt they had to “man-up” to prove themselves. When World War I began, Theodore, age 58 and no longer in the White House, passionately pleaded with then President Woodrow Wilson to allow him to enter the fighting and command his own combat regiment on the Western front. Well, as you might imagine, President Wilson said “No!” So, almost as an alternative, Theodore’s four sons - Ted (Theodore Roosevelt, Jr.), Kermit, Archie and Quentin - would all serve in their father’s stead. Theodore and Edith worried about all of their boys as they went off to fight in the war. But it was Quentin, the youngest, whom they worried about most of all. Three months later, on July 23, 1917, Quentin set sail to France for his military training. Over the next year, he struggled with difficult flight training on planes considered by the French to be totally unsuitable aircraft (Nieuport planes), brutally cold weather, life in mud up to his knees, inadequate clothing (such as boots) and a bout with pneumonia. All while his three brothers were already serving at the front. Quentin desperately wanted to equal his brothers and enter the fighting! He did make it into the battle. But, he had only served at the front for about a month when he was killed. Out of respect for the Roosevlet family, the German soldiers buried Quentin where he fell. Many years later, his remains were removed and buried in the American Military Cemetery at Normandy, France. Quentin had grown up in front of the American people and they adored him for his charming antics and vibrant personality. They followed his military career, and when he died, they mourned his loss. Quentin is the only child of a presidential couple to be killed in action for his country. His two brothers, Ted and Archie, were wounded in the war, leading their father to say proudly, "Haven't I bully boys, one dead and two in the hospital." Both boys recovered. During WWII Ted (then age 57) landed in the first wave at Normandy and died of a heart attack a month later. He was awarded the Congressional Medal of Honor posthumously. He is buried in the American Military Cemetery at Normandy, France alongside Quentin. Immerse themselves in the sights and sounds of World War I while taking photos with Quentin and his training plane. Attend a series of talks and programs about the Roosevelt family in World War I.
It’s open Wednesday to Sunday, 10 am to 5 pm. 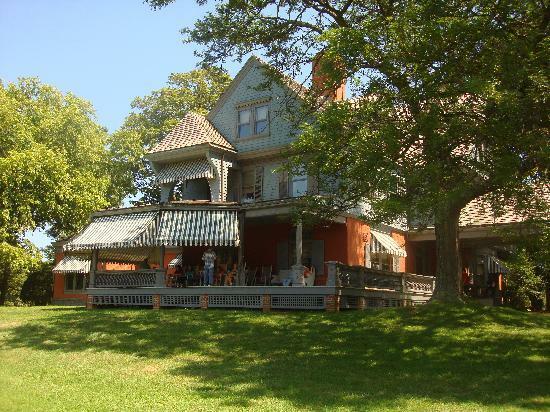 Sagamore Hill National Historic Site, located in Oyster Bay, New York, is a unit of the National Park Service. The site was established by Congress in 1962 to preserve and interpret the structures, landscape, collections and other cultural resources associated with Theodore Roosevelt’s home in Oyster Bay, New York, and to ensure that future generations understand the life and legacy of Theodore Roosevelt, his family and the significant events associated with him. Madeline Nelson (left) and Toby Selda (right), education docents at Sagamore Hill National Historic Site. 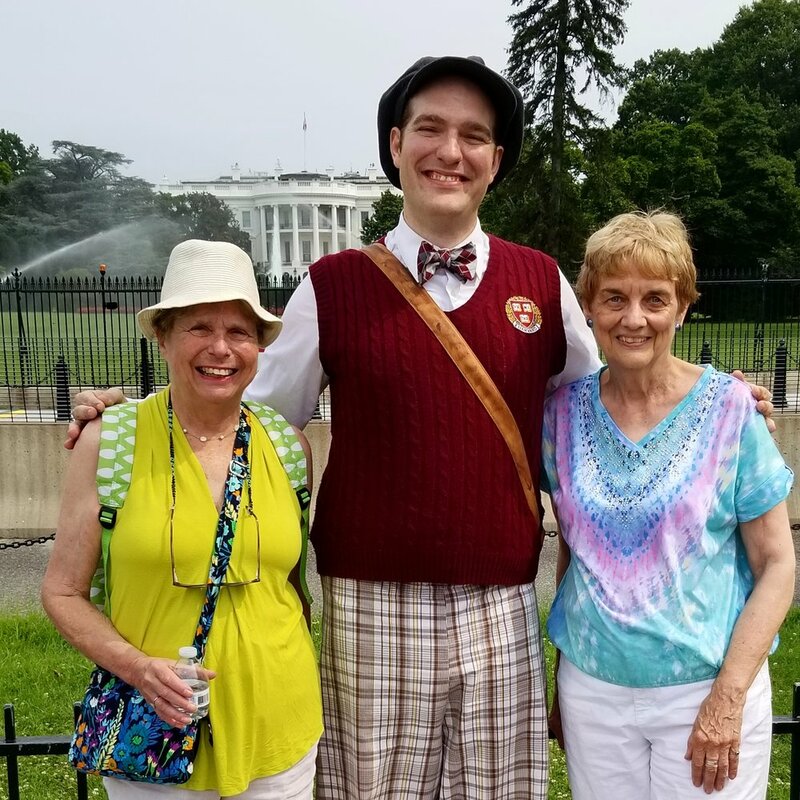 with our own Pickle Pea Walk's Quinten Roosevelt (played by Johnny Weissgerber) on the White House as a Home Walk around the President's Neighbor in Washington, DC. https://historynewsnetwork.org/article/169368 --- article written by David Pietrusza, author of TR’s Last War. https://www.bbc.co.uk/news/av/magazine-25988145/what-does-a-collection-of-100000-american-war-letters-teach-us --- This is a video about the work of Andrew Carroll, founder of the Center for American War Letters at Chapman University, an archive of wartime letters from every U.S. conflict. He is also the author of the 2017 book My Fellow Soldiers: General John Pershing and the Americans Who Helped Win the Great War, a vivid retelling of the American experience in World War I.
Monjo, F.N. The One Bad Thing About Father. New York: Harper Collins, 1970. Selda, Toby. Simply "Father" Life with Theodore Roosevelt As Seen Through the Eyes of His Children. Fort Washington, Pennsylvania: Eastern National, 2007. Older PostYou Do Know About the Weddin’, Don’t You? But You Probably Don’t Know the Whole Story!